Proso is considered the best flavored of all the millet varieties. A high alkaline content counteracts acids and makes the grain more easily digested. Millet is gluten free and cooks quickly. It is quick maturing and grows very short, 1′ – 4′ tall. 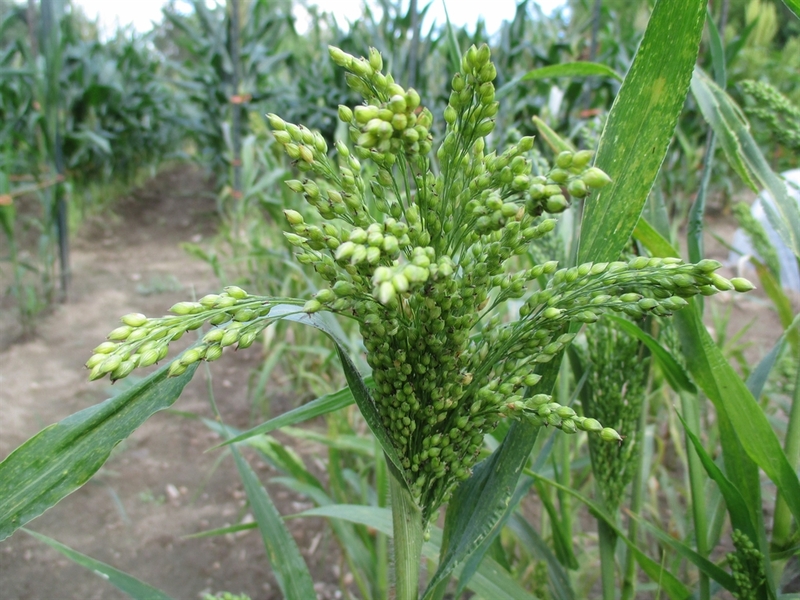 It does not produce as much bio-mass as the other millets, but is easier to work with and definitely easier to cover with bird netting, if birds are a problem in your area. I did have a problem with lodging in 2014. The heavy Spring rains literally washed the soil out from the bottom of the plants causing them to topple over. This was not as noticeable on the other millet varieties. I ended up hilling each plant like you would do with corn. I also lost a few plants due to the fact that the soil stayed very wet the whole season. 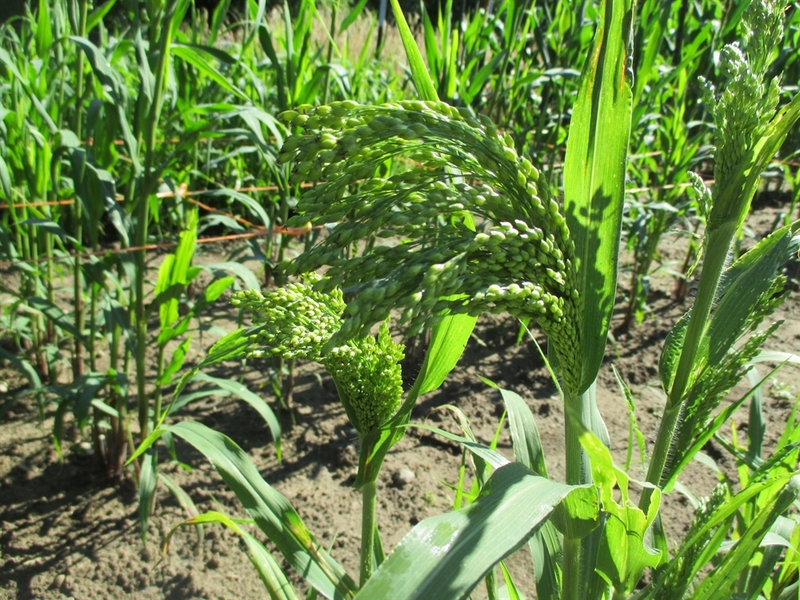 In the future, I plan to plant the Proso Millet in a slightly raised bed, for better drainage. All millets need to be de-hulled. I have read that passing the grain through an old time laundry wringer will work. I intend to test this out at some point. I have included additional info at the bottom of this page on de-hulling options. I direct seeded my plants the last week of May and harvested the seed heads in mid to late August. I hang the seed heads to dry a couple of weeks before threshing and winnowing. The seed should be planted 1/4” to 1/2” deep in rows or beds. Space 6” to 1′ foot apart. I tie up my plants with posts and twine around the bed to deter lodging. Birds can be a nuisance and I cover my beds with bird netting. This would probably not be necessary for a large plot.